The Ministry of Telecommunications and Technology of Angola and the FIL – International Exhibition of Angola, organized the EXPO TIC’s 4th Edition 2015 – International Hall of Information and Communication Technologies of Angola, from the 14 to 17 of May in the FILDA facilities. 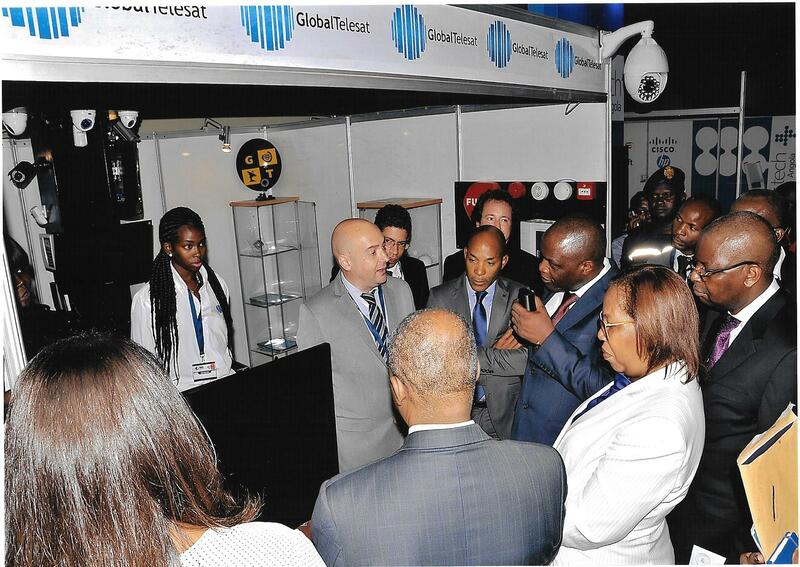 During the exhibition, Global Telesat had the pleasure to receive on its Stand the Telecommunications Minister of Angola, H.E. Mr. José Carvalho da Rocha, and the Science and Technology Minister, H.E. Mrs. Maria Cândida Pereira Teixeira, among other personalities from institutional and telecommunications sector. Global Telesat, in this edition was nominated as “Best Technology Company”. 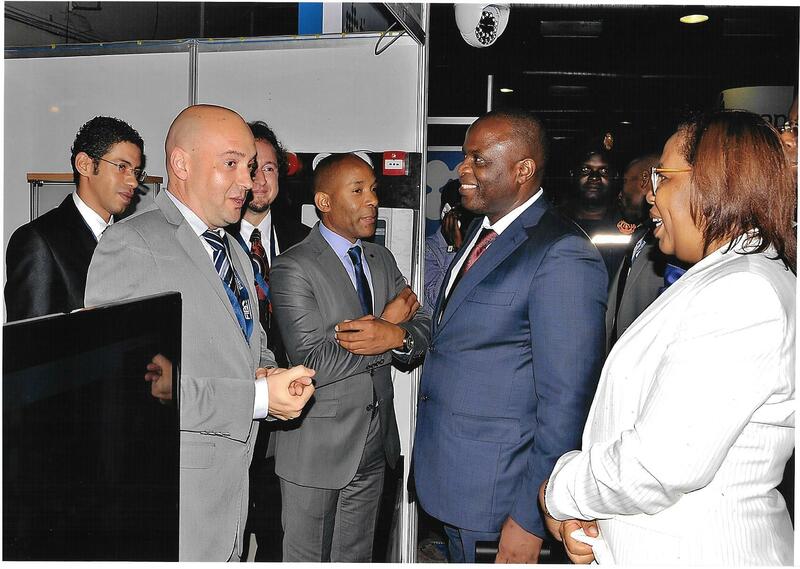 Is a great pleasure to have the official recognition of be one of the best technology companies of Angola. Daily, we dedicate in offer to our clients a quality of service, responding to their needs. Angola is a country with a great potential, living an economic growing stage where all sectors require developing. Global Telesat supports this progression giving the technological means for this progress. Interviewed to Mr. David Pizarro (Project Manager) and Mr. Manuel Joia (Commercial Manager) of Global Telesat Angola by the Angolan Television TPA during the EXPO TIC’s Angola 2015 exhibition.